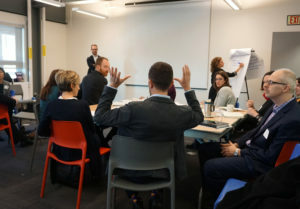 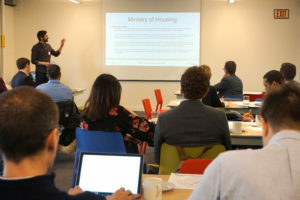 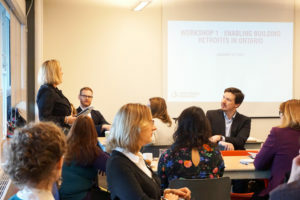 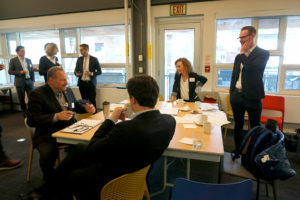 In 2016, the first Intermunicipal Tower Roundtable was held in Hamilton, bringing together Ontario’s four largest municipalities–Toronto, Ottawa, Hamilton and Mississauga–to share best practices and innovative approaches to the unique challenges facing tower neighbourhoods. 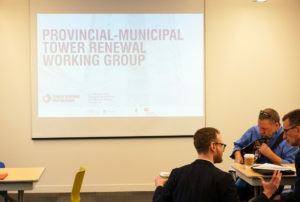 One of the outcomes of this roundtable was agreement that coordination between the Province and Municipalities is crucial to realizing Tower renewal goals in Ontario. On January 17th, 2018 the Tower Renewal Partnership hosted the first Provincial-Municipal Tower Renewal Workshop at Evergreen Brickworks, bringing together 30 representatives from ministries and municipalities to tackle the question of enabling buildings retrofits in Ontario. Discussion focused on identifying supportive policy and programs, outlining considerations for owner uptake and ensuring policy objectives are met, and implementation strategies. 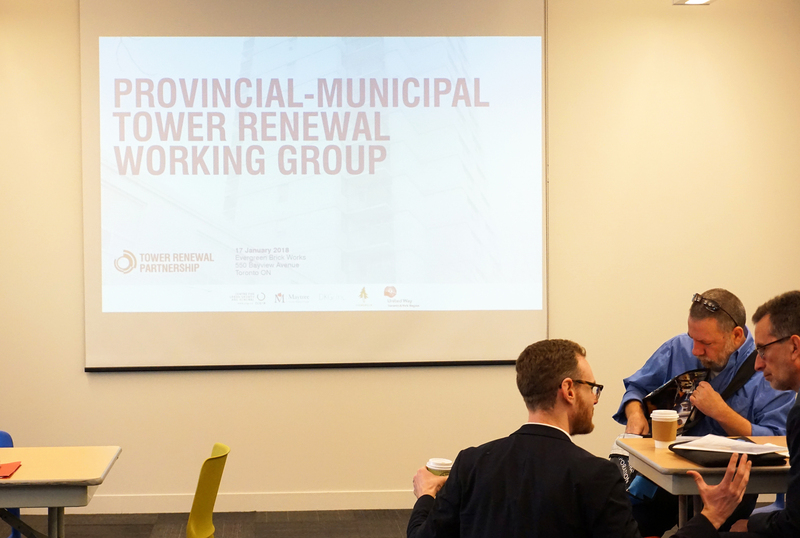 This workshop will lead to future collaboration between the participants in an effort to support the implementation of Tower Renewal province-wide.